Scientifically formulated by Omega Alpha and clinically evaluated by veterinarians, GlucosaPet maintains your pet’s mobility by strengthening ligaments and joints. 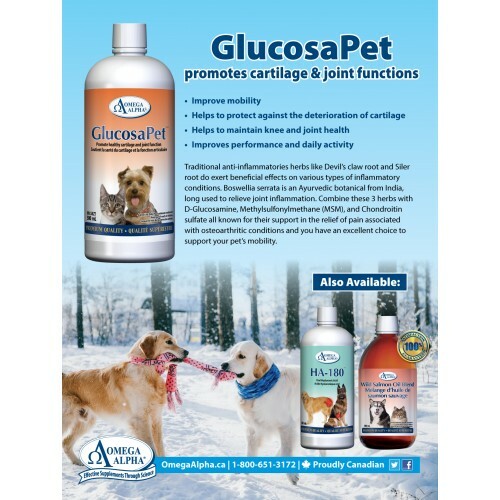 The formula features natural ingredients such as D-Glucosamine sulphate, Chondroitin sulphate, Methyl sulfonyl methane (MSM), Devil’s Claw, and Boswellia serrata – all commonly taken for conditions associated with joints, tendons and ligaments. Each ingredient has been chosen for its unique effect and/or its synergistic effect with another ingredient. 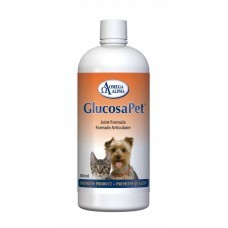 GlucosaPet is available in an easy-to-use, highly absorbable liquid format.